We are delighted to confirm that as of Wednesday 8th February Sinan, Dena and their family have been granted leave to remain in the UK. This is wonderful news. 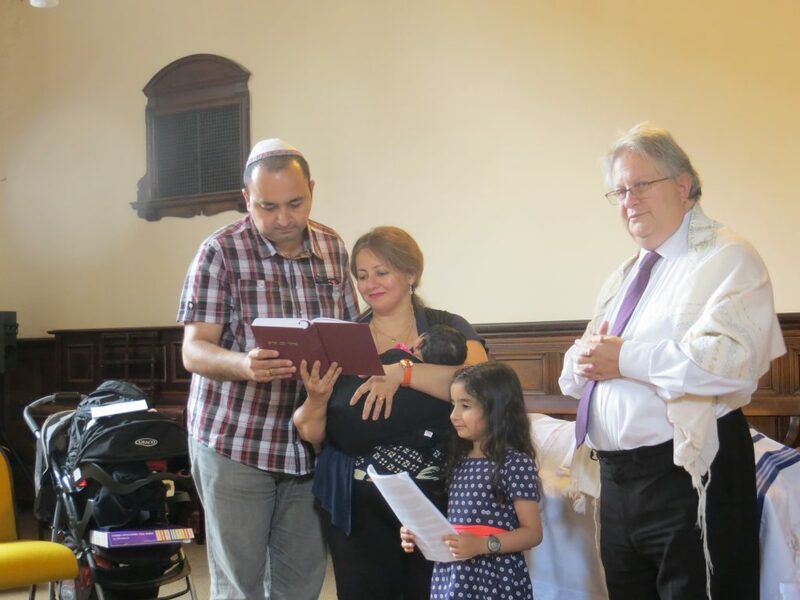 Anyone in our community who comes to services even irregularly will know Sinan and Dena – our members from Iraq – Yara their daughter, who is so quick to wish everyone “Shabbat shalom” as they walk in the door, and their baby Liza, who was amongst our first baby blessings. The family applied for asylum and was made homeless in August last year. Lots of people asked what they could do to help so jointly with York University JSoc we set up a crowd funding website raising £5000 fundraising in just one month. Now Sinan and Dena will now be able to work and resume their normal lives. They have asked that we pass on their huge thanks to the whole community for the support we have been able to offer. The community should be very proud. I was at the Shabat service during the York Interfaith Week (Sat. 19th), and was pleased to ‘meet’ your family there; having spoken with Dina afterwards. I welcome you to Yorkshire and am glad that the Liberal Jewish Community is able to meet at Friargate Friends Meeting House.